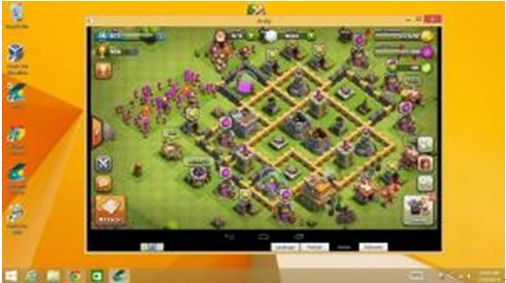 The android emulator is a software program that emulates the android operating system for smartphones. These emulators are largely required for running android apps and games on PC. This software when installed in your desktop allows you to try out applications that were developed for android operating system. This way, you develop software and then you can test it with the android emulator on your computer. This can help you to work out on any bugs the software may have before you offer the application for sale in the android market. 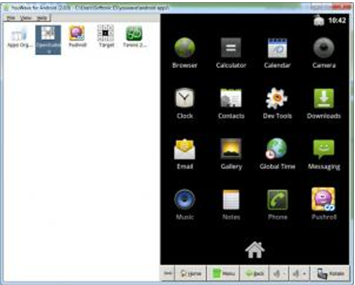 However, choosing the correct android emulator might become a hectic task as if it's not selected properly; it can really slow down your computer. The reasons for emulation differs significantly depending on the user; often service engineers or developers may use it as a test platform, or the normal users may be faced with such a necessity. In this article, we are going to focus on the best software solutions for android emulation on your pc. All the emulators discussed below run android applications and games on your windows computer, offer high performance and are easy to install. Record your classic gameplay . 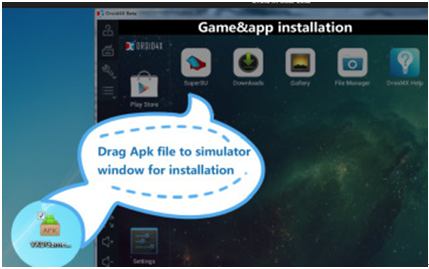 This emulator is new in the market and unlike other programs which simply launches the android application, it normally gives you a fully functional android on a windows or a Mac system which can be synchronized with an existing android device. 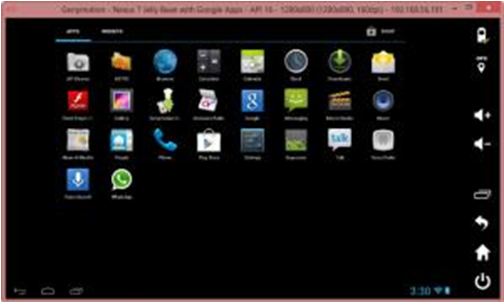 Using this emulator, you can visit the play store, run android, install and run the applications and many more. 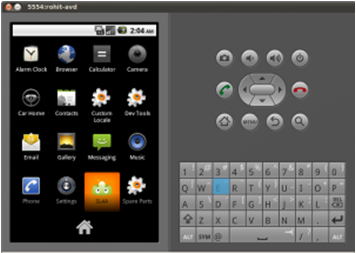 The distribution of this android emulator includes VirtualBox, Andy player and customized image of Android 4.2.2. It allows download of programs directly as a pre-play market. Other functions for this emulator include backup and you can even use your smartphone as a controller in Andy. 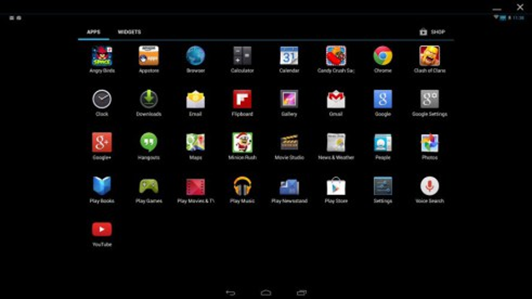 Blue Stacks is probably the most popular option of android emulation in the world. It's mainly used for launching android games and applications in your computer. Blue Stacks also allows the user to run apk files from a pc. It's very easy to install and use as it requires no additional set of OS and tinkering with Dev, in a few clicks you can get it installed on your computer. Once you run it, you will be able to access all the android applications immediately. Genymotion is one of the fastest android emulators and includes images of customized Android (x86 hardware accelerated OpenGL) which is perfect for testing applications. This project was developed out of the old AndroidVM and when compared with it, Genymotion has a new design of the player, the installer and many more features. Genymotion is a cross platform program but it requires VirtualBox. It emulates WI-FI connection, front and back camera, screencast function and remote control in commercial version. Also known as WindowsAndroid.It is the only program that is capable of running Android 4.0 under windows without any additional hardware or software. This program lets you work with android applications, can handle requests from non-native applications on the hardware of your pc and also runs the virtual machine Dalvic. WindRoid is very fast in operation, has many positive aspects and its absolutely free. 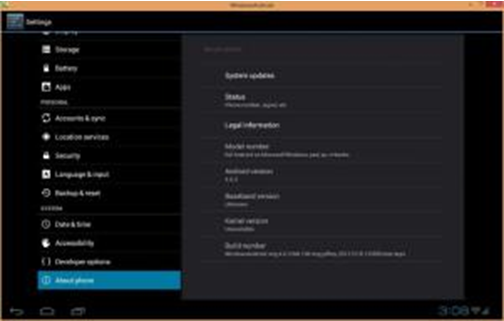 YouWave is an application for windows that allows you to download and run Android applications without having to bother in downloading the Android SDK and Sun SDK. This emulator contains a virtual machine and installs from Android distribution in just a mouse click. Once installed, the program can run Android applications from your local drive or upload them from the free resources of Android applications via the internet. The program is very demanding on the uses of computer resources and performs slowly on older PCs. Android SDK is not just a program, but a package of tools for developers. In this platform, you can create a program and make it debugging. It was specifically created for people who develop applications for Android mobile platform. This SDK provides you with integrated environment for development as it contains built in Android developer tools necessary to build, test and debug apps for Android on your windows platform. Android SDK is the only software that is supported and developed by Google and it's a leading program. It's a full program shell in which you can create and test your own application. It has a lot of unnecessary features for the average users. Droid4X is a new emulator and perhaps the most interesting and designed for real power in the hands of the user and its features are great too. It has some salient features like it comes pre-rooted, with play store installed. It allows you to configure your keyboard as a controller for the emulator. 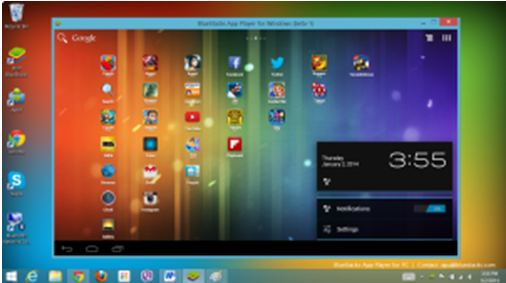 AndyRoid is an emulator that is one of its kind for windows 7/8 & 10. It has its own unique features which are not supported by any other emulator out there like giving the user the ability to use their phone as remote control while playing games. It also has ARM support which allows user to directly install apps in your Andy emulator through your host desktop browser. 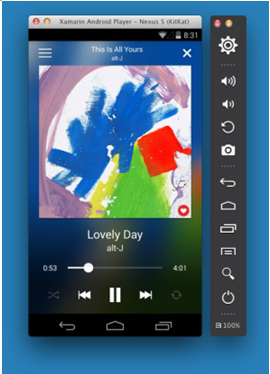 Xamarin Android player is one of the most unheard android emulator. Even though it's less popular, it provides the latest android experience on your PC/MAC for free. Having been developed by a programming oriented company, it's almost bugles. However, just like Genymotion and Andy OS Xamarin requires Virtual Box dependencies. DuOS offer full android experience on PC with multi touch support, pinch to zoom etc. thus simplifying the gaming experience. It also offers GPS, application compatibility and it's very easy to use. It also offers a month free trial. As the name suggests, this emulator is highly optimized for Windows system. It's easy to install and the fact that it runs on windows kennel ensures that the emulator is speedy and doesn't hung up in the middle. The emulator also supports the use of mobile phones as controllers for games. The UI is highly optimized for PC usage and it has one of the best home screens. Here we list 25 games which can be played on an Android device by using an emulator. At emuparadise, you will find hundreds of thousands of ROMS, ISOS and games. You can download and play them or play them right inside your browser window. Why emuparadise? iPhone emulators are designed so that applications, games that are designed for iPhones are made available for other cross-platforms as well. How to Use PCSX2 Emulator to Play PlayStation 2 Games on PC? Use PCSX2 Emulator,you can play PlayStation 2 games on your PC.Read this article and you will know how.